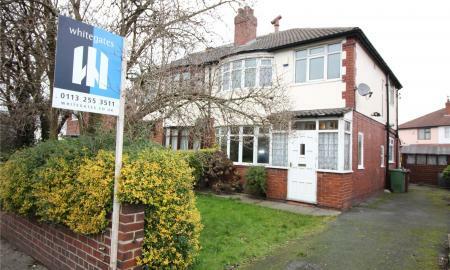 Whitegates are delighted to present to the market this traditional three-bedroom semi-detached family home which is situated in this popular residential area of LS16. An internal inspection is highly recommended in order to fully appreciate the accommodation on offer; coming ready to move into and with good space on offer, the home has two good sized reception rooms and a lovely modern kitchen to the ground floor. Upstairs on the second floor are two spacious double bedrooms and a very good sized single as well as bathroom and separate W.C. With an attractive exterior, the home boasts driveway providing off street parking and generous lawned rear garden. 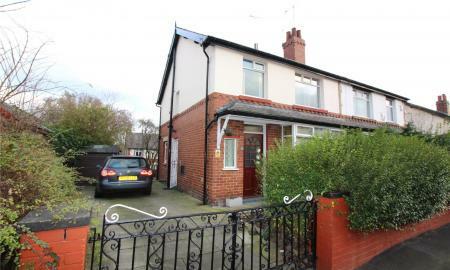 The property is situated in a convenient location close to the extensive shopping amenities available in Headingley. There is an excellent choice of schools for all ages and the home is ideally placed for daily travelling into Leeds City Centre. A unique opportunity to acquire this generously proportioned 5 bedroom family home; with quirky features full of character throughout such as grand galleried landings, exposed wooden beams and beautiful stained glass atrium. The home is truly brimming with potential, it would be a fantastic project for someone looking to make a stunning home that offers such ample living space with over 2000 sq. foot of property! Deceiving from the front, the home has vehicular access to a cobble driveway to and large courtyard to the rear with outbuilding also. Situated right in the heart of Pudsey Town Centre, the home is a stone&#146;s throw away from the local shops, places to eat and drink and other amenities such as primary and secondary schools. 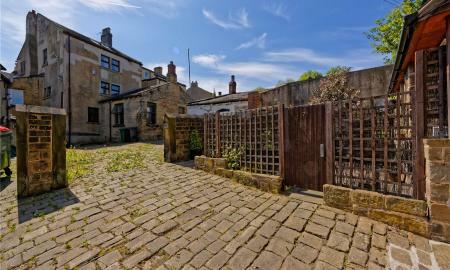 It is located close to public transport links to both Leeds and Bradford City Centres. Viewing is highly recommended to appreciate the calibre of this home. Whitegates are delighted to offer for sale this great detached five bedroom property with generous living accommodation offering spacious rooms, great rear garden overlooking lovely views and integral garage. 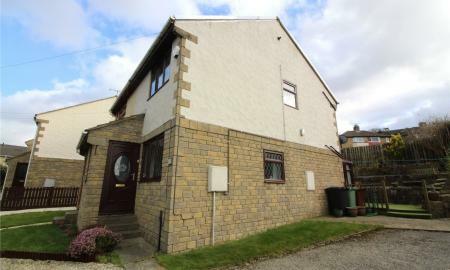 This property would ideally suit families looking for ample space benefiting from PVC double glazing and gas central heating throughout and briefly comprising two downstairs reception rooms, spacious dining kitchen and utility area, downstairs w.c. Upstairs there are five bedrooms plus an en-suite and the family bathroom. In an ideal location, the home is close to motorway links and public transport links to both Leeds and Bradford City Centres. Viewing is recommended. 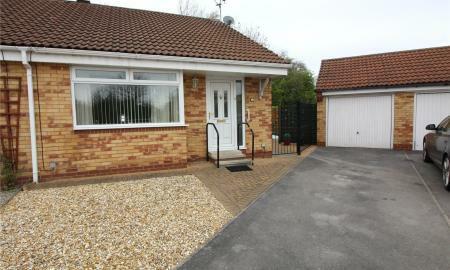 Whitegates are pleased to offer for sale this fantastic three bedroom detached bungalow. Making a great home for a range of buyers, this property offers spacious lounge with dining area also, two double bedrooms plus a third and bathroom fitted with modern white 3 piece suite. 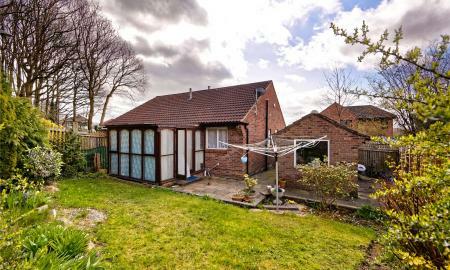 With an attractive exterior, the bungalow has a driveway providing ample off street parking plus a garage; it boasts low maintenance front and rear gardens also. Situated in a sought after location, the home is close to local amenities including shops and places to eat and main roads ideal for commuting to the White Rose Shopping Centre and Leeds City Centre. Viewing is recommended. Whitegates are delighted to offer to the market this fantastic four bedroom semi-detached property; an internal inspection is definitely needed to appreciate the standard and space this home has to offer. With neutral and tasteful decor throughout, it briefly comprises a lovely modern kitchen, great dining room and sitting room to the ground floor. To the first floor are three good sized double bedrooms, one with an en-suite, a fourth single bedroom currently used as a study and a stunning family bathroom. To the exterior is an integral garage plus hardstanding driveway as well as front and rear gardens. In a convenient location, the home is close to the Bramley Shopping Centre, Kirkstall Leisure Park and Cardigan Fields and all they have to offer plus transport links to surrounding towns City Centres are close by. 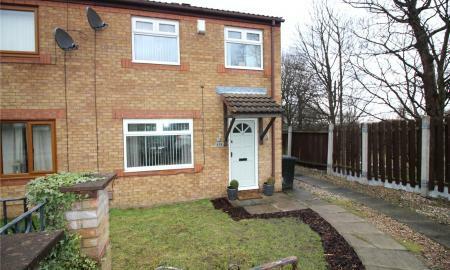 Whitegates are delighted to offer to the market this lovely three bedroom semi-detached area in popular location in Pudsey. This home has modern and tasteful decor throughout with spacious and stylish kitchen, lounge and a conservatory and good sized modern fitted bathroom. To the exterior is a driveway providing off street parking and private and enclosed garden to the rear, ideal for any family. This property is located just a couple of minutes&#146; walk away from Pudsey Town Centre and all its amenities on offer as well as being close to the Pudsey bus and train stations. Viewing is highly recommended. 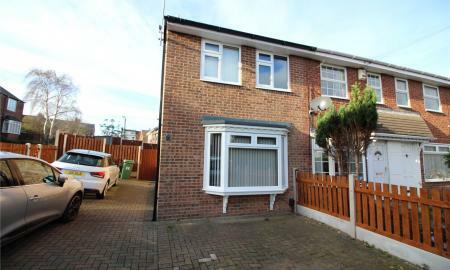 Whitegates are delighted to offer to the market this fantastic three bedroom semi-detached home. Coming with NO ONWARD CHAIN and having recently undergone some improvements, the home is ready to move straight into and is modern and tastefully decorated throughout. Ideal for any family, the property boasts spacious rooms both up and down stairs with two good sized reception rooms, large modern bathroom and great loft space. To the exterior the home has a driveway providing OFF STREET PARKING and a private and enclosed garden to the rear. Situated close to local amenities such as Bramley Shopping Centre and local schools, the property is also in a great spot for public transport links to both Leeds and Bradford City Centres. Viewing is highly recommended as we don&#146;t think this one will be around for long. PRICED TO SELL! Whitegates are delighted to offer this attractive semi-detached bungalow, located in a quiet cul-de-sac and fitted with a brand new boiler and gas central heating system with a 6year warranty; boasting lawned well-kept gardens to both the front and rear as well as detached garage and hardstanding driveway providing off street parking, The home comes chain free and would be ideal for a couple, it boasts spacious lounge and conservatory and has lots of potential. The home is within walking distance to the train station, Kirkstall Abbey and the lovely walks surrounding and the Kirkstall retail park also; public transport links to Leeds City Centre are close by too. Easy access to neighbouring towns like Horsforth, Bramley and Pudsey make local amenities just minutes away. Viewings are recommended. 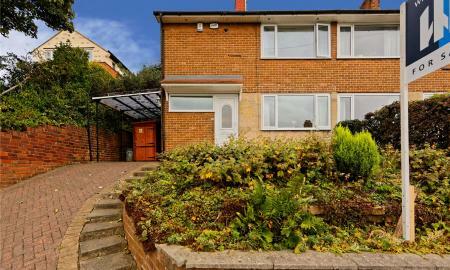 Surprisingly re-advertised to the market and situated in this popular area of Bramley is this spacious three bedroom semi-detached property. 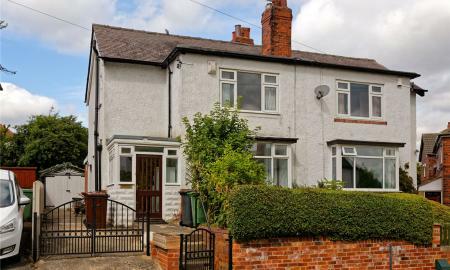 Conveniently located for amenities, transport links and being close to Bramley Park, we know this home will appeal to a range of buyers and viewing is highly recommended as we don't think it will be around for long. The property offers well-presented living accommodation and comes with no onward chain; it boasts spacious dining kitchen, two generous double bedrooms plus a single and two good sized gardens to the exterior; the rear garden is an ideal area to relax or for the kids to play in as well as having a hardstanding driveway to the front providing ample off street parking for multiple cars. 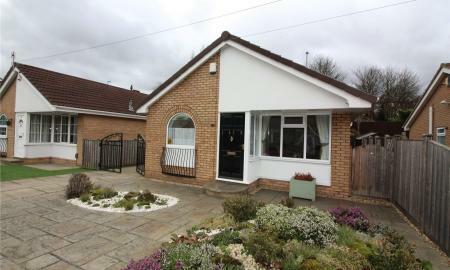 Whitegates are delighted to offer for sale this well presented and well looked after two bedroom semi-detached bungalow. Coming with no onward chain and being ready to move into, the home will appeal to a range of buyers but we think it will be ideal for couples or those looking to downsize. Set in a popular residential location at the head of a quiet cul-de-sac, the home offers a peaceful surrounding whilst still being very close to local amenities such as Bramley Town Centre, shops and places to eat. The property also allows easy access to public transport links making commuting to Leeds & Bradford City Centres very easy. Viewing is highly recommended. 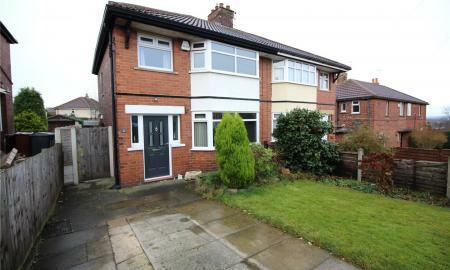 Whitegates are delighted to bring to the market this great THREE BEDROOM semi-detached home. Coming with NO ONWARD CHAIN and offering great potential, this property would be ideal for any family boasting two good sized double bedrooms plus a single, generous lounge and dining kitchen and occupying a great spot at the head of a CUL-DE-SAC. To the exterior is a DETACHED GARAGE and driveway providing off street parking and a great rear garden, a real sun trap. Conveniently located, the home is close to local amenities such as schools, places to eat and drink and is just minutes away from the Bramley Shopping Centre; transport links are also right outside. Viewing is highly recommended. 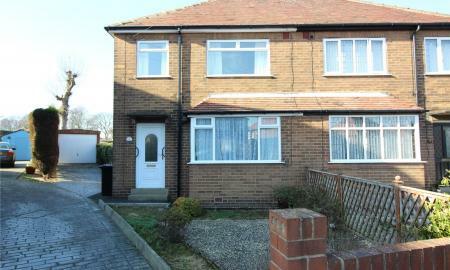 Whitegates are pleased to offer this three bedroom semi-detached home in sought after location. The home would be ideal for first time buyers or families and it has lots of potential, it comes ready to move into and offers good size lounge, two spacious double bedrooms plus a good sized single also. There is great outside space with a driveway providing ample off street parking. Situated in a great position, the property is just minutes away from both Bramley Shopping Centre and Kirkstall Leisure Park and public transport links to both Leeds and Bradford. Viewing is highly recommended. 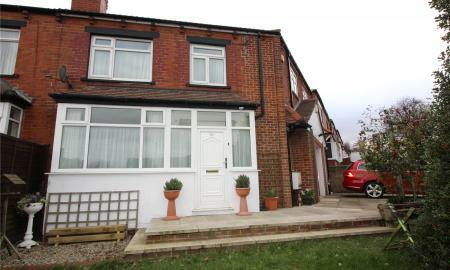 Whitegates are pleased to offer for sale this spacious three bedroom semi-detached home; it is brimming with potential and offers excellent living accommodation with good sized lounge and separate dining room. 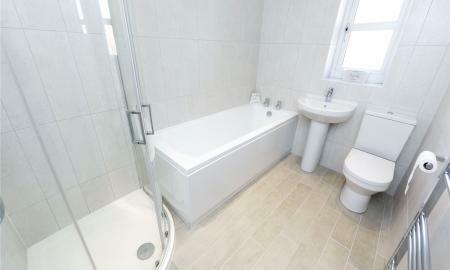 To the first floor are two large double bedrooms and a good sized single also, as well as a modern bathroom. The property benefits from having a garage and a driveway providing ample off street parking helping to make this home ideal for any family. Situated in a popular residential area of Bramley that's within easy reach of Bramley Shopping Centre and other local amenities and with very good transport links to Leeds City Centre and beyond. Viewing is recommended. Coming with no onward chain is this lovely two bedroom semi-detached home in a sought after area of Armley occupying a great spot in a quiet cul-de-sac. Appealing to a range of buyers this home would be ideal for first time buyers, those looking to downsize or a young family coming with two double bedrooms, a spacious kitchen and a driveway and detached garage providing off street parking. The home is ready to move into and has neutral decor throughout; located close to motorway links and public transport links to both Leeds and Bradford City Centres. Must be viewed to avoid disappointment! Larger than expected and coming ready to move into is this lovely three bedroom home. With stylish decor throughout, the home would be ideal for any first time buyers or young families boasting good sized lounge and dining room, gorgeous modern kitchen and bathroom suites and three good sized bedrooms also. Situated at the head of a cul-de-sac, the home is in a desirable position on the street with great outside space offering gardens to front and rear with a detached garage and driveway providing off street parking. 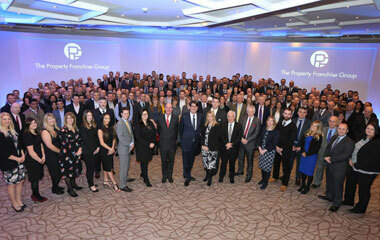 The property gives easy access to schools, local amenities and public transport links to Leeds and Bradford City centres. Viewing is highly recommended to appreciate the standard of this home. Whitegates are delighted to offer for sale this beautifully presented family home coming ready to move into and with lovely modern decor throughout. The home offers three bedrooms, two good sized doubles and a single with spacious family bathroom and modern fitted kitchen with great dining area. To the exterior is off street parking for three cars at the front of the property and a fantastic garden lies to the rear, perfect for outdoor entertaining. The house is located in a convenient residential location allowing easy access into both Pudsey and Bramley Town Centre's and all the amenities on offer with excellent local schools and great access to the road and rail links to Leeds and Bradford and the motorway networks beyond. 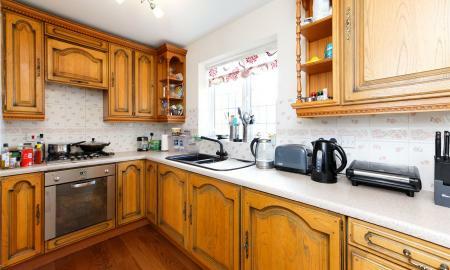 Viewing this property is highly recommended in order to fully appreciate the standard of this lovely family home. Whitegates are delighted to offer this spacious three bedroom semi-detached home offering well-presented living accommodation and coming with no onward chain. This property is perfect for someone looking to put their own stamp on their next 'forever home' and boasts two good sized double bedrooms and a single, a modern fitted bathroom and kitchen and driveway providing ample off street parking. 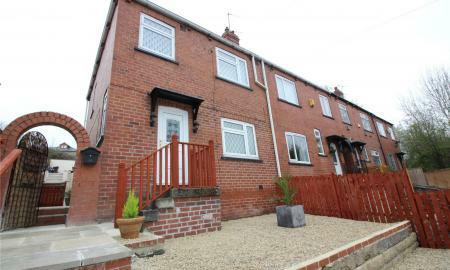 To the rear of the home is a great sized garden and it is situated in a popular residential location; a great spot close to local amenities such as the Bramley Shopping Centre and local schools and within easy access to public transport links and routes to Leeds City Centre. Viewing is recommended. 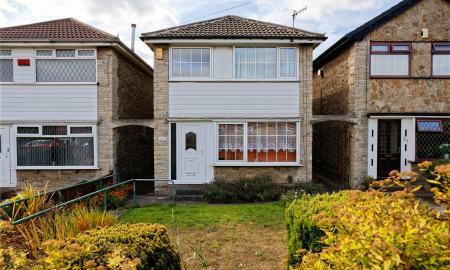 Ideal for a range of buyers is this lovely two bedroom semi-detached property situated at the head of a quiet cul-de-sac. Ready to move into, this home has neutral and tasteful decor throughout and you can really tell it has been well loved and looked after by its current owner. The home boasts detached garage and ample off street parking for multiple cars, spacious and modern dining kitchen and great wet room. In a great spot, this property offers privacy and a feeling of remoteness while actually being just minutes away from local shops and other amenities with public transport links close by. Viewing is highly recommended as we don&#146;t think it will be around for long. 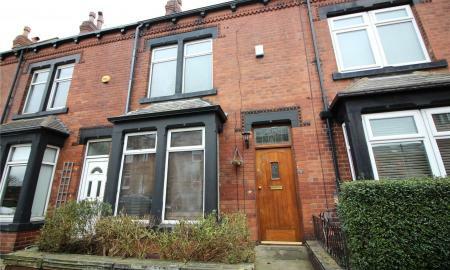 Whitegates are delighted to offer this generous 3/4 bedroom through mid-terraced property. Coming with no onward chain and with living accommodation spread over floor fours, an internal inspection is highly recommended to appreciate the space on offer. This home has modern neutral decor throughout as well as period features and is ready to move into with fantastic modern dining kitchen, good sized lounge and family bathroom plus a good sized cellar. It is in a popular residential location just minutes from the Bramley Shopping Centre; it is ideal for commuting to local towns such as Rodley and Pudsey and is situated on main routes to both Leeds and Bradford City Centre's. This home is not one to be missed. Well designed and ready to move into three bedroom family home coming with no onward chain. With two double bedrooms and a good sized single, spacious lounge and separate dining area plus gardens to front and rear with a garage! Situated in a highly convenient area, the home allows easy access to the ring road and access to our surrounding motorway links towards Wakefield, Manchester and Huddersfield. Primary and secondary schools, local amenities and public transport links to Leeds and Bradford City centres are also close by. Viewing is highly recommended to appreciate how much space this property has to offer! 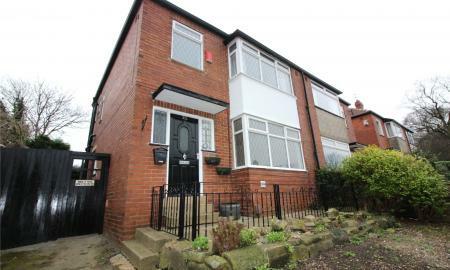 Whitegates are delighted to offer this three bedroom spacious end of terrace home in Wortley, ideal for first time buyers or young families, this property comes ready to move into and really is a great buy. 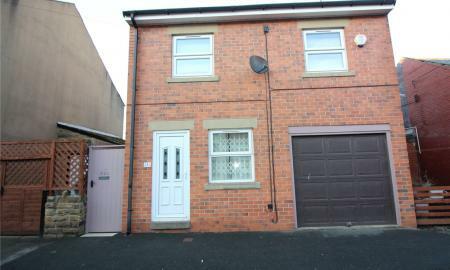 Recently refurbished with a boiler less than 2 years old, new doors and double glazed windows throughout. The home offers spacious living accommodation with tastefully decorated lounge and modern kitchen to the ground floor with good sized double bedroom, and two single rooms plus a stunning modern bathroom to the first floor. To the exterior, the home offers a large hardstanding driveway providing off street parking for multiple cars and a lovely rear garden perfect for playing, relaxing and entertaining. In a great location, the property is situated close to local amenities such as supermarkets and shops and is close by to Leeds City Centre making an easy commute into the City Centre. Viewing is highly recommended to appreciate the standard of this home. 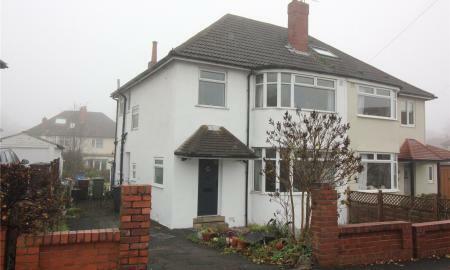 Whitegates are pleased to offer for sale this modern detached family home. Deceiving from the outside, this property offers great space with a unique design and also comes with no onward chain. Neutrally decorated throughout, this home boasts gas central heating, double glazing with part triple glazing and cabling for Sky throughout the home. With spacious and modern kitchen and bathroom suites, it is ideal for any family as well as having two good sized double bedrooms to the first floor plus a dressing room, and a large master bedroom to the second floor. To the exterior is a stylish garden to the rear and integral garage providing off street parking if required. In a convenient location there are both primary and secondary schools nearby, shops and the White Rose Shopping Centre just 10 minutes away and excellent transport links surround. Viewing is recommended. 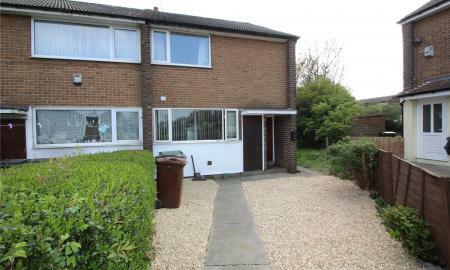 Whitegates are pleased to offer this three bedroom end town house in a popular residential location coming with no onward chain and being favourably priced to allow for modernisation. The home boasts spacious living accommodation briefly comprising of entrance hall, generous living room and fitted kitchen with three good sized bedrooms and the family bathroom to the first floor; also with gas central heating throughout and part double glazing. This home has great potential and will appeal to a range of buyers making an ideal family home and it would also be a great opportunity for a buy to let investor. Just minutes away from the Bramley Shopping Centre, this home is within walking distance of local shops, schools and other amenities with transport links also being easily accessible. Viewing is highly recommended. 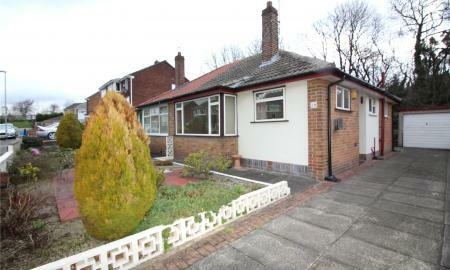 Brimming with potential and coming with NO ONWARD CHAIN is this semi-detached bungalow. Perfect for those looking to down size, this home has a spacious sitting/dining room, TWO BEDROOMS and a DRIVEWAY providing on street parking; this bungalow also boasts having a detached garage ideal for storage and a low maintenance rear garden, perfect for sitting out and relaxing in the Summer months. Located in a popular and quiet residential location being close to local amenities such as shops and places to eat and transport links to surrounding towns and Leeds and Bradford City Centre's.